On the political, economic and security fronts Pakistan has from the beginning been torn between two opposing poles. In 1947 Pakistan entered the bipolar World that was dictated by the rules of a zero sum game; a loss for the West, a gain for the East and vice versa. This World saw countries alleging their loyalties, in return for fringe benefits, and even playing both the poles. In such circumstances while the stronger could assume an official position of ‘neutrality’, Pakistan time and again had to resort to either the East or the West for making it to the next stepping stone at each point. While Pakistan’s political instability could be the cause of such erratic oscillations, let us remember that the decisions in the past were beneficial in their respective presents. Our economic booms are associated with booming favors, from either end. In retrospect Pakistanis might criticize Ayub for closing doors to Soviet Russia and in essence making us dependent. We can blame Zia for making the same mistake, and even Musharraf: both these dictators led us into, and made us a part of the War in Afghanistan. Today, we can blame Zia for allying with the US and creating the Taliban, but at that point we were the heroes who saved our Muslim brothers. Who knew this was to become of empowering the Taliban? From the beginning Pakistan’s politics and society has been influenced by the competing of the opposing poles. The East comprises of Russia and China now, with Iran as a strong proponent of the anti-West camp. On the other hand Western influence is led by the United States, and closer to home, Saudi Arabia. The Saudis and Iranians have a strong place in Pakistani hearts. Iran was the first nation to recognize Pakistan, and is one of the largest Muslim nations, also sharing a huge border. Cultural exchange has been massive between the two countries, and especially after the Iranian Revolution in 1979 overthrew the US sponsored Shah, Pakistan welcomed the new Shia regime with warmth, done by few at that point. On the other hand, Saudi Arabia, by default of being the birth place of Islam has always remained one of Pakistan’s top priorities. Saudi’s unconditional loyalties with the United States, as a state with wealth, oil, and a strange influence on the Muslim World, perhaps makes it a major asset to the West. It is states like Saudi Arabia that have permanently been adopted by the West and whether an Arab Spring can ever reach there depends on whether the Saudi Royalty will cease to be beneficial to the Western cause. Democracies are chaotic, while the ally a good and loyal dictator makes is unmatched by even the most stable democracy. For those who assume the East is more beneficial must be reminded that India scored better on the international ‘friendship’ scale than Pakistan. The United States offered India to join the ‘anti-Communist’ forces, and when declined, it turned to Pakistan. Pakistan saw the US as an unconditional friend only to face disappointment in both 1965 and ’71 and yet we continued to benefit from the liberal support. To date, Pakistan’s history books praise Ayub Khan’s, Zia-ul-Haq’s and Musharraf’s decades for economic progress, ascribing our success to great policies more, and generous external help, less. In 1980’s, immediately after the great Khomenian revolution, and Zia’s rampant Islamization, the Shia and Wahabi (Saudi) neighbors created a niche to protect their own vested interests in the region. The Shias felt threatened in Pakistan, and their powerful support system in the East decided to come to the rescue of a ‘weak minority’. As Iranian money gushed into the country to Shia groups, the Wahabi centre saw this as an opportune time to gather support in the vacuum that was apparently created. The timing was crucial, as the United States even saw Pakistan as a major asset to train the anti-Communist forces, the ‘religiously-driven’ Taliban in Afghanistan. And so while Sectarian influence escalated, and Iran and Saudi saw Pakistan as the perfect battle ground for their enmities against each other, the regional politics took a global turn with US jumping in to save the volatile region from the final Russian penetration. General Zia saw it advantageous for Pakistan to accept millions of dollars from the West in exchange for training and supporting the Taliban, this final turn towards the West was not taken well by Iran, or other immediate neighbors. 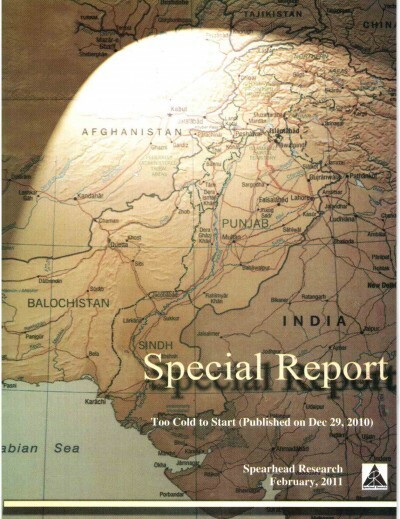 Afghanistan-Pakistan ‘brethren bond’, an odd phenomenon from the start, was anti-Pakistan owing to the Durand Line complications and Pashtunistan separatism that was supported and funded from across the border. Yet at that point, once again the Jihad sentiment was key to amass public support for a war (like all wars in today’s day and age). Saudi and US partnership is an undeniable fact. Saudi and Iranian antagonism is another such concrete fact. Pakistan’s decision to support the Taliban has dragged it into a mess with Afghanistan, as the same Taliban disregarded their loyalties to the West and plotted against their hegemony. Pakistan battles from within, and with the outside World; the sectarian mess created in the 1980s overwhelms domestic political course and security. Karachi, Pakistan’s only metropolis has turned into war-zone where ethnic and sectarian politics overrides all other facets of society. Similarly Balochistan, a vulnerable land mass, and a province standing on gold (untapped minerals and Gwadar) has become another such red-zone where instability prevails. On the face of it, the meddling of the polar interests in Pakistan’s internal matters, and growing dependency have obscured Pakistan’s own interests. As we are approaching a gas deal with our next-door neighbor Iran, a deal which can possibly solve the ever-increasing energy crisis that has caused much domestic unrest and plunged our industrial sector, we are once again reminded of the various stakeholders in the equation. This time, as Pakistan announces Iranian willingness to invest, Saudi government sends an invitation to our foreign minister. The Saudi influence in the region is undeniable. As the TAPI pipeline through Afghanistan from the oil-rich Central Asian states is becoming more of a reality, Pakistan has a tough choice to make. Is the United States letting Saudis talk sense into Pakistan? The TAPI pipeline, which will go through Pakistan to India, has economic interests vested for both India and the US, who have heavily invested in the newly liberated Afghanistan. So, economically, it made sense for India to walk out on Iran, leaving the I-P-I to only I-P pipeline. But at the same time Pakistan’s projection is that maybe Afghanistan is not as stable as the US would choose to believe. After all more than 11 years have passed, and still Afghanistan under the eagle-eye of the strongest nation in the World remains as vulnerable to terrorist attacks as Pakistan does with all the ‘vulnerability’ from outside and within. While various factors continue to influence Pakistan’s decisions, it must be remembered that as a variable in a complicated equation, Pakistan has never been in a position to understand her own interests, except as products of the complex international politics. Even today as a nation we are faced with the same scenario, where a choice can lead to the East or the West. The international boundaries are defined and we need to find a place within the existing framework. The decision to go ahead with IP or TAPI is not an easy one to make, and perhaps both choices do not entirely have Pakistan’s isolated self interests at the core. We are part of a bigger game, where each pole feeds its own end.